8.9" x 9.3" stitched on 14 count. 6.9" x 7.2" stitched on 18 count. 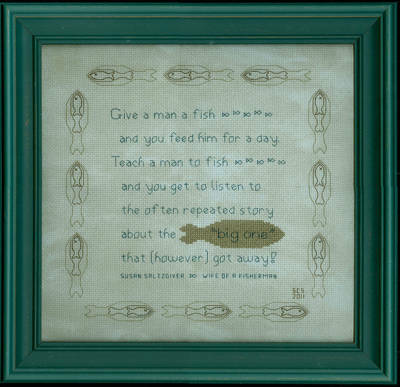 Teach Fishing cross stitch pattern... Fisherman like to tell about their exploits and their details grow with repeated telling. Mostly backstitching is used.